The hero of this book is one Joe Carpenter. Thirty-seven years old, Joe used to be a crime reporter for the Los Angeles Post. Then, a year ago, his wife and daughters died in a plane crash on their way back from a trip to the east coast. The grief and anger he feels over his loss led Joe to quit the Post and alienate most of his friends during the course of the past year. He can’t look at a crime scene without seeing his wife and daughters’ bodies rather than the real victims’; he can’t go a day without suffering panic attacks. During these episodes he imagines dying with his beloved family, feeling racked by guilt that he could not die with them, leaving him the sole survivor of the Carpenter clan. Nevertheless, Joe has not taken the ultimate step to utter despair. He is desolate, certainly, but he hasn’t committed suicide yet. Mostly, this is due to the fact that he is not sure there is a life beyond this one. If he gets there and finds nothing but an empty void, he will still miss his wife and daughters. And if there is life after death, which he seriously doubts, then murdering himself will guarantee he never sees his family again. All of this means that Joe is in a rut. He sold his and his family’s house and now lives in an apartment, waiting for the day he can wake up dead. He can’t drink or dope himself to death because doing so would eventually erase his memories. Since those are precious to him, he doesn’t overdo the beers. But he hasn’t been taking care of himself, either. This morning, on the anniversary of the crash, he calls his mother-in-law. She’s the only one with whom he feels capable of discussing his grief and despair. She asks after his health and suggests he go back to writing, but he deflects her probing questions, convincing her to describe the sunrise at her Virginia home. Her voice has the same southern lilt that his wife’s did, and so he likes hearing her talk. Joe also wants to make sure she and his father-in-law are doing all right, since they’re still grieving, too. Later on Joe goes to the beach. He’s hoping to lull himself into a mood where he can visit his wife and daughters’ graves later in the day without falling apart or getting violently angry. While he is there, drinking and watching the waves, a couple of young boys sidle up and ask if he is selling something. Joe tells them no, and they say that someone must think he is, because there are a couple of “cops” keeping tabs on him from further down the beach. Thanking the boys, who walk away, Joe soon gets curious and turns to spot the men they identified. Neither man looks to be the regular variety of cop. They’re definitely interested in him, but Joe can’t guess why they should be. He dismisses them from his mind until he goes to the men’s room. Worried about being jumped, he pays a fourteen year old boy to scope out the territory for the two men. Coming back, the boy tells him he spotted one of the two men staring at a couple of bikini-clad women, one of whom is apparently deaf. “Deaf?” Joe asks. The boy elaborates and states she kept pulling out and putting in a “hearing aid” in one ear. Paying the boy the rest of his promised money, Joe leaves the restroom and goes back to his place on the beach. Two young women set up next to him and, since he is wearing sunglasses, Joe can keep an eye on them without giving his suspicion away. They are watching him – and not the way young women usually watch men at the beach. Using up the last of his beer, Joe decides these cops have picked him out of the crowd by mistake and ignores them. He packs up and heads to the cemetery. When he gets there, however, he finds a woman photographing the headstones of his wife and daughters’ graves. She tells him she is not ready to talk to him yet, then asks how he is coping with his loss. It doesn’t take a great detective to see he is in bad shape, mind you; she just needs a conversational topic. Before their graveside chat can go any deeper, the two are interrupted by a screeching engine. Joe looks up to see a vehicle approaching the cemetery. It stops and the two men who were observing him at the beach jump out. Immediately, the woman takes off, and she is so fast that Joe can’t keep up with her in his poor condition. His two shadows chase after the strange woman. Doubling back to their vehicle, Joe discovers a third man inside. Taking the brute by surprise, Joe subdues him before studying the interior of the van. Abandoning it, he races off before the thug can grab him. He gets shot at, but loses his pursuers, only to find he has picked up a helicopter instead. Discovering a tacking device on his car, Joe slaps it on a passing dump truck and goes to get some answers. In the process, he learns there is a reason to keep living. Someone survived the plane crash that killed his family, which should be impossible. But apparently it isn’t and, on the off chance that the woman he met at the graveside can help him locate the survivor, Joe begins chasing after her. As he does he learns by inches why he was allowed to survive his family’s demise. I won’t spoil the rest of the story for you, readers. In spite of the protagonist’s depair-induced whining about the world toward the beginning of the novel, this is a riveting book. Joe eventually gets whacked on the head enough times that he straightens up and flies right, naturally. Koontz doesn’t hold with wimps or whiners, though he occasionally writes about them. Sole Survivor is no different than the rest of his works in that respect. 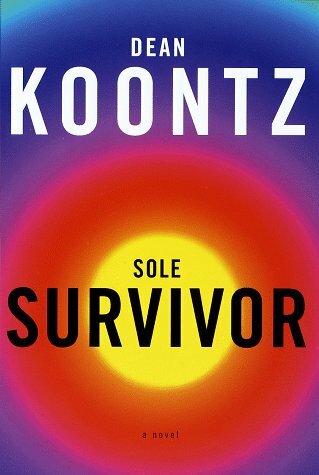 A good read with a good ending, Sole Survivor is as timely today as when it was written. But you don’t need to take my word for it, readers. Pick up the novel at your earliest opportunity and discover how good a book this is yourselves! 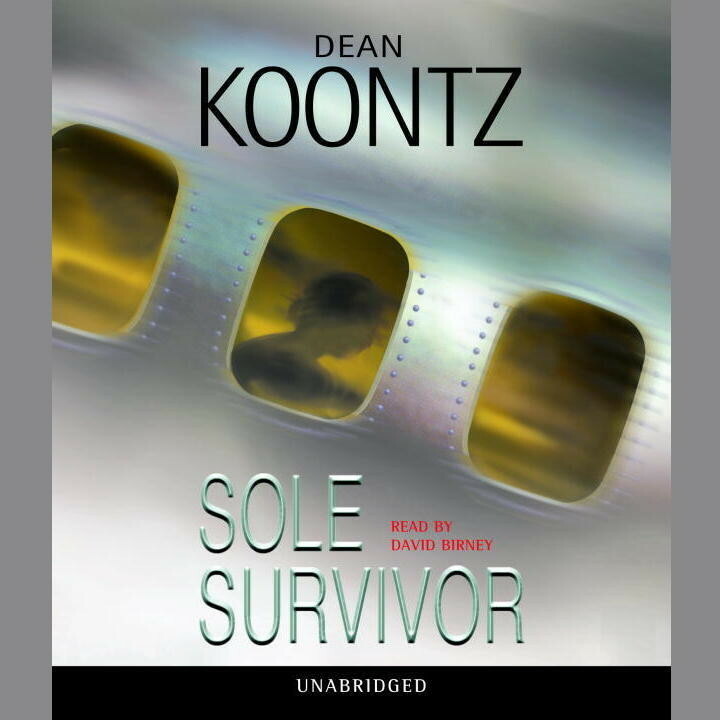 This entry was posted in Book Reviews and tagged Book Reviews, books, Dean Koontz, Despair, hope, Horror, Horror Fiction, innocence, old books, planes, sci-fi books, Science Fiction, Sole Survivor, Sole Survivor « Dean Koontz, thriller on November 30, 2018 by The Mithril Guardian. Whew! We are finally – finally – going to discuss another Dean Koontz novel! 🙂 Hang on to your hats, everyone; this one’s a doozy! 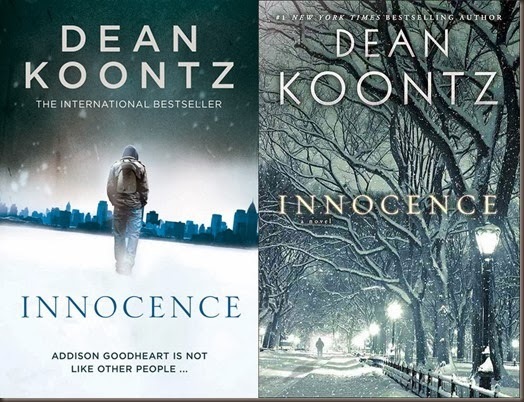 Innocence, by Dean Koontz, is a standalone novel about a man who is so ugly that he inspires everyone else to hate him on sight. This young man – Addison – lived alone with his Father, a man who was also considered sickeningly ugly, beneath a city for some time. Six years ago, Addison’s father died, and ever since our hero has lived alone. Father was not Addison’s biological father. That man ran off before Addison was born, and so he never knew him. But Addison did know his mother, with whom he lived for eight years, before he had to leave and ended up in the city. It was while he was running from a gang of teens who had seen his hideous visage that he met his adopted Father. Our hero cannot stay underground all the time, of course. He has to go to the surface from time to time to get food, which he usually has to take from closed stores at night. His Father had to do the same before him, and he taught Addison to leave money behind for the things they “bought” in this manner. At other times, Addison goes to the surface to visit the local library during the darkness, when no one can see him. On different occasions, he goes topside to watch the storms come and go. This night, he heads to the surface to visit the library. While there, he hears a man shout and sees a woman roughly his own age racing away from her pursuer. Between the two of them, Addison and the girl manage to lose her hunter. But our hero finds he can’t leave the young woman alone; he can tell she needs help. So he offers to aid her in her dilemma. Cautiously the heroine of this tale, Gwyneth, agrees to accept Addison’s help. Naturally enough, though, she asks why he hides his face. Addison explains that he doesn’t want to scare her and, even though she says she doesn’t care about appearances, he insists on keeping his countenance hidden. Gwyneth eventually accepts this, then states her own rule: Addison is not to touch her or make skin contact with her. She cannot be touched – at all. Thus we have a hero who can’t be seen and a heroine who can’t be touched. Curious yet? If so, since I don’t want to spoil anything too much, let’s just say that the title Innocence is right on the nose. From the description I’ve offered here, it’s not hard to see a parallel between this novel and the fairy tale Beauty and the Beast. While Addison is a most decidedly un-beastly character, I would be willing to bet that this fairy tale might have helped inspire Koontz to write this book. There are certain overtones that hint at Beauty and the Beast up until the middle of the story. From then on, though, the tale takes a different turn entirely. 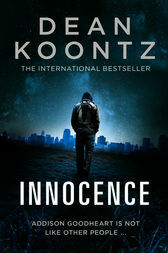 To make this review perfectly honest, I have to admit that I never finished reading Innocence. It was too close to reality – and seemed too much like a prophecy – for me to complete it. A few pages from the finale, this blogger shut the book and put it away. So far, I haven’t had the nerve to read the last few pages, despite being told by a friend what happens at the end of the tale. 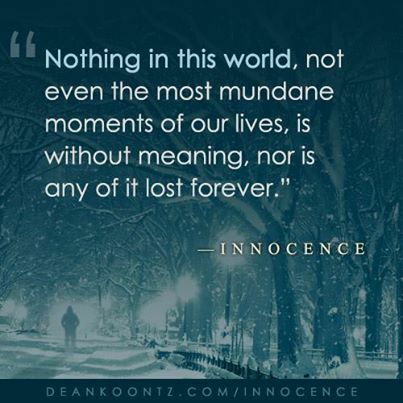 Perhaps I will be able to finish Innocence someday. But it will not be today. The book is written like The City, from the first person POV with short chapters that can be a paragraph in length. These will in turn preceed lengthier installments. The big difference is that this book has a more linear timeline than The City did. 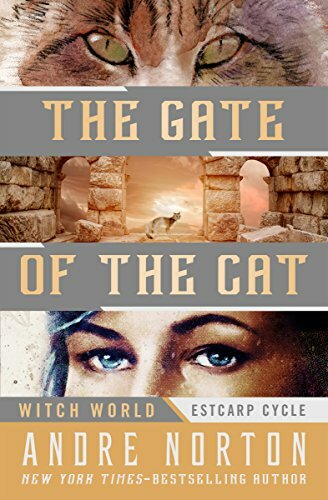 This entry was posted in Book Reviews and tagged Beauty and the Beast, Book Reviews, Dean Koontz, Horror, Horror Fiction, innocence, The City on October 12, 2018 by The Mithril Guardian. I think I have reviewed a total of three Dean Koontz novels prior to this point, readers. 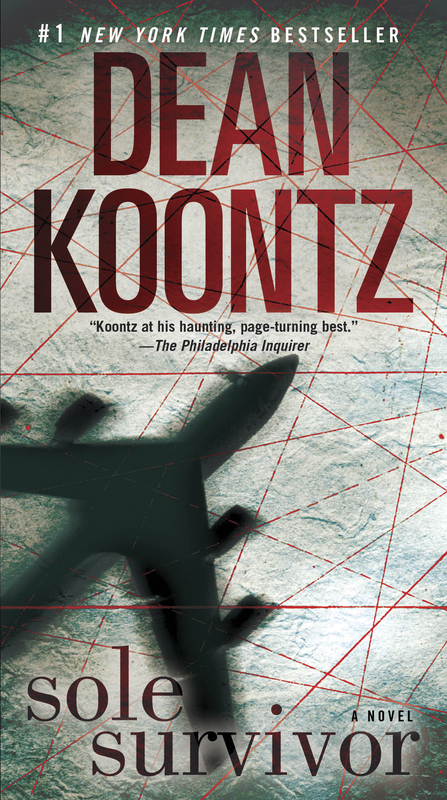 Though horror is not my preferred milieu of fiction, Koontz has valuable insights in his novels that are worth the price of admission. He also creates compelling characters and satisfies my desire for a good story well told. So I have read more than the three novels reviewed here at Thoughts; I just have not gotten around to writing about most of them. By the Light of the Moon is the most recent book that I have read, and the ending is an absolute kicker. The author pulled a fast one on me with this one, so I have to be careful to describe it or I will give away spoilers. Dylan O’Connor, an artist, has stopped off at a hotel on his way back from selling some of his work in the next state. In the hotel is his younger, autistic brother, Shepherd. (For the majority of the book, he is called Shep.) Unfortunately, before Dylan can get back to their room with the fast food meal his brother ordered, someone sneaks up behind him and knocks him out. And yes, this little old man is the bad guy – and what a villain. He doesn’t go in for the usual evisceration, mental or physical, that you would expect. He is apparently harmless and full of remorse, but as a fan of Koontz’s, I can tell you to never assume any antagonist in his stories is harmless or full of remorse. This bozo is no exception. Well, Dr. McEvil finishes up with Dylan and leaves the room, telling him he has some handful of minutes before the MIBs show up to kill him. This is because the “stuff” is the scientist’s life’s work and it is apparently dangerous enough that the Feds want it completely eradicated. While Dylan works on freeing himself, Dr. McEvil spies his next victim: Jillian “Jilly” Jackson. Jilly is trying to become a professional on the comedy circuit, and to that end she travels around the Southwest with her jade plant, Fred. Fred is part of her act and the closest thing she has to a friend in her travels. Anyway, she pops out of her room to grab a drink and a snack from the vending machine. When she comes back, her door is ajar and it takes her too long to react to the fact that she has an unwelcome visitor. Knocked out and injected with the same “stuff” as Dylan received, Jilly misses most of Dr. McEvil’s spiel and stumbles out of her room toward the parking lot – with Fred in hand, of course. And that means they want Dylan, Shep, and Jilly dead. But the real surprise in this book was the ending. It is a lighthearted, almost fluffy finale that pokes fun at a genre you hear a lot about here at Thoughts. The fun isn’t aimed at my favorite company, but its rival which, let’s face it, takes itself waaay too seriously most of the time. There is still some self-deprecating humor in my favorite producer, but heaven only knows how much longer that will last. Someone else I know who read the book felt this ending was a bit disingenuous, but I kind of liked it. Most of Koontz’s novels end with a “Beware the Darkness” note, which is fine. But it is nice to know he can put a little more bounce into an ending if he wants to do so. The fact that he doesn’t just goes to prove the point I mentioned in my review of The Good Guy. 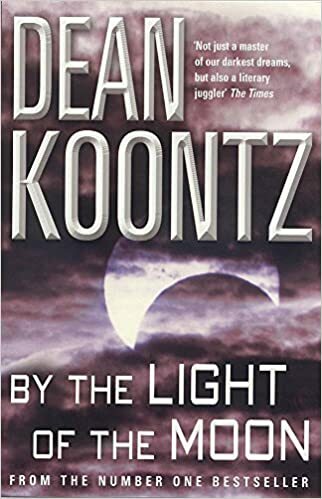 If you don’t think you can handle Koontz giving you a “fluffy” ending, then you may not want to pick up By the Light of the Moon. I think it was worth the read, however, and that is why I am recommending it. The first few chapters, at least, are worth it for the humor alone. Have fun with By the Light of the Moon at your earliest convenience, readers! 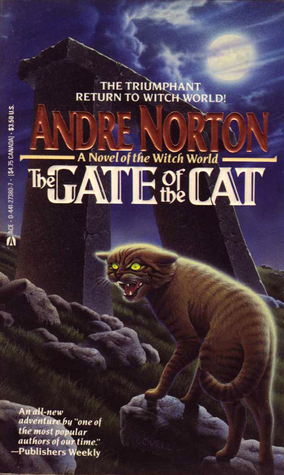 This entry was posted in Book Reviews and tagged Book Reviews, books, By the Light of the Moon, Dean Koontz, Horror Fiction, sci-fi books on May 25, 2018 by The Mithril Guardian. Pitch Black says this to the Guardians near the end of Dreamworks’ film Rise of the Guardians. I wrote an article about the movie some time ago, but these words were not the focus of it. That post had a totally different message from the one I wish to discuss today. Rise of the Guardians focuses on the Guardians of childhood: Santa Claus (North), Tooth Fairy (Tooth), the Easter Bunny (Bunny), Sandman (Sandy), and their new addition – Jack Frost. In the scene portrayed above, Jack has convinced a handful of children that the Guardians do in fact exist. This has helped North, Bunny, and Tooth to regain a certain amount of strength, since they lost much of their power when Pitch Black (the infamous Boogeyman) persuaded children around the world that the Guardians were not real. The belief of a few children cannot restore the Guardians to their former capacities, though. They are now too weak to fight as they must to save the children. They intend to battle Pitch anyway, but the situation looks grim for the home team. It is at this point when Jamie, the one boy who never stopped believing in the Guardians, promises that he will protect them from the Boogeyman (Pitch Black). Jamie’s friends, inspired by his courage, shakily join forces with the Guardians as well. As the Guardians and children face the onslaught of evil, they manage to turn Pitch’s certain victory into utter defeat. Fictional heroes are the equivalent of the Guardians in Rise of the Guardians. They not only “guard” the imaginations and (hopefully) the innocence of childhood, they guard the imaginations of adults as well. Heroes are, by design, examples of virtue which we are meant to follow. They show us how attractive and healthy virtues such as courage, faith, hope, love, and honor are. They inspire us to dream, to choose the right path, and not in a didactic way but in a way that touches our hearts. Stories are vehicles for truth. This is not simply factual truths, such as how to ride a horse or to hunt for medicinal herbs in a forest. These facts can be and often are woven into fictional stories, of course, and they are certainly helpful. But most of the truths we find within stories are philosophical and, at bottom, spiritual. Yet many of us habitually skate on top of a story. Instead of looking through the ice to see what is below, we see what we wish to see reflected back at us. And so we tend to ignore what is truly below the surface of the tale we are reading/hearing/viewing. This brings me to Jamie’s declaration that, since the Guardians are going to protect him and the other children, he will in turn protect the Guardians he loves. While recognizing their desire and natural right to protect him and the others, he also realizes he has a duty and right to protect them when they are attacked. Theirs is a tie that is mutually beneficial; the belief and love of children everywhere not only sustains the Guardians, it protects them by giving them the strength they need to do their jobs. It makes the circuit of power complete. Sadly, the critics panned Rise of the Guardians as they have dismissed many movies before it. On one level, we could see this as a sign that the movie they have critiqued is undesirable. On another, we could see it as a sign that a great many people have suddenly and inexplicably lost their capacity to recognize a good children’s tale when they see one. If you are thinking this second assesment lacks believability, I concur. That is why I take the third view; at least some of the critics liked this film and admitted it, while the majority of them panned it in order to serve their agendas. What agenda might this be? Here we come full circle again. Remember when I said that fictional heroes were meant to be the Guardians of the Imaginations of children and adults? Well, if you want to destroy those perceptions, you have to go through the Guardians. The “critics” who regularly pan good movies like Rise of the Guardians seem bent on destroying those positive images. In order to do that, they have to tear down the heroes not only in this story, but in everyday life as well, so that everyone will be as miserable as they are. Of course, as Marvel and other companies’ public dereliction of duty shows, not all writers want to be doctors of souls. 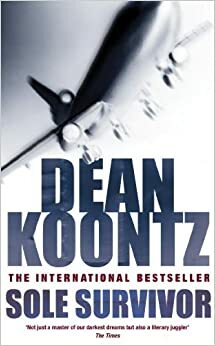 Mr. Koontz’s stories are filled with human monsters who perpetrate evil on their fellows, and none are worse than those who use a pen instead of a scalpel. This is what the critics who wish to destroy imagination, wonder, truth, goodness, and beauty hate about stories. If these critics who have chosen darkness cannot be happy, then they wish no one else to be happy. Therefore whatever gives everyone else pleasure – whatever reminds them of the truth, goodness, and beauty to be found in this world and beyond – must be destroyed. This includes good stories with great Guardians of the soul. As long as we have heroes to inspire us, we will be better able to resist the carping critics’ myriad assaults. Take away the Guardians of Storyland – whether they are Captain Kirk, Odysseus, Robin Hood, or Captain America – and we lose one of our best defenses against those who would destroy our understanding of the good, the true, and the beautiful. Some may think this harsh and cruel. While I certainly do not want to paint all critics of creative media with the same brush, I must point out that it is the fashion now for the “intellectuals” to praise trash and sniff at true art. This is not to criticize all critics. We are weak, fallen creatures, yours truly included. 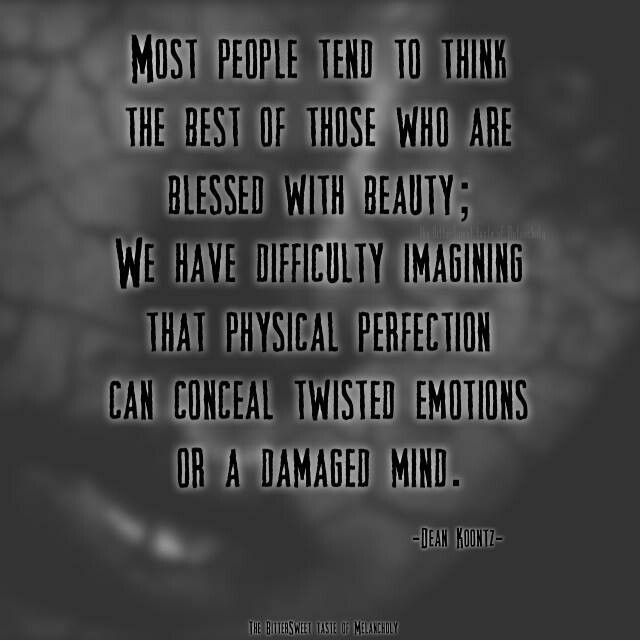 None of us are perfect. The fact remains, however, that there are those who want to destroy our innate love of goodness, truth, and beauty – and they usually like to use a pen or a keyboard when they go to work. If this is what is going on, then how are we to stop it? We stop it by the simple expedient of saying, “I will protect the Guardians.” We need not use force to do this; permanent determination and a refusal to abide by or accept the proffered precepts of today’s real life Wormtogues is a very effective tactic. When they try to take our heroes from us, we must be like a bulldog holding tight to a beloved toy. We have to clamp down and not let go because these servants of Saruman will lose. As long as we hold tight, we will win. Who, therefore, will defend these fictional defenders? Who will preserve the characters who are “there when we need them to be,” as Walt Disney said in Saving Mr. Banks? Who will see to it that the Guardians do not face Pitch Black alone? Who will say, “I will protect the protectors”? That is up to you, readers. The Guardians’ purpose is to guard us, not to protect themselves. For, as I said previously, they get their power from us. Without our affection for and belief in the heroes of Neverland, they are but mirrors of us, pale reflections of reality. They have substance only when loved by us. For those who think this is stuff and fluff, remember that a painting is a pale reflection of reality. Yet Dolly Madison risked her life to save the paintings in the White House, along with the Constitution and the Bill of Rights, before the British burned it to the ground during the War of 1812. 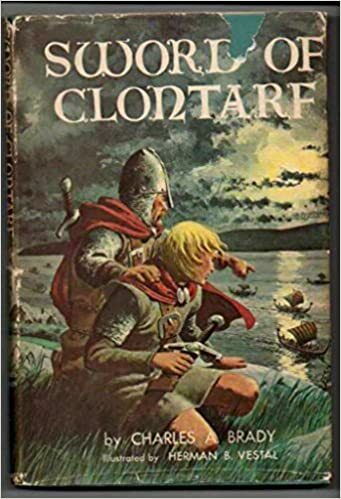 If fiction means nothing, why then did the Christian monks of the Dark and Middle Ages preserve the fiction of the Ancients and write the Legends of King Arthur? During World War II the Nazis stole plenty of art from the countries they invaded, and destroyed art created by those they hated – Jews, Catholics, Gypsies, etc. Under the Communists, the arts were degraded and used to promote the state, while real art that had survived for centuries was used to build troughs for farm animals. If art, though nothing more than a reflection of life, is meaningless, why have so many throughout history worked so hard to preserve it – or to destroy every trace of it? The obvious answer is that art is not meaningless. It is not the be-all, end-all. But when it reflects the true, the good, and the beautiful, it is worth preserving. It is worth creating…. This entry was posted in Essay and tagged Alec Baldwin, Ashley Bell, Chris Pine, Dean Koontz, Easter Bunny, Essay, Hugh Jackman, Jude Law, Pitch Black, Rise of the Guardians, Sandman, The Bogeyman, Tooth Fairy on April 13, 2018 by The Mithril Guardian. 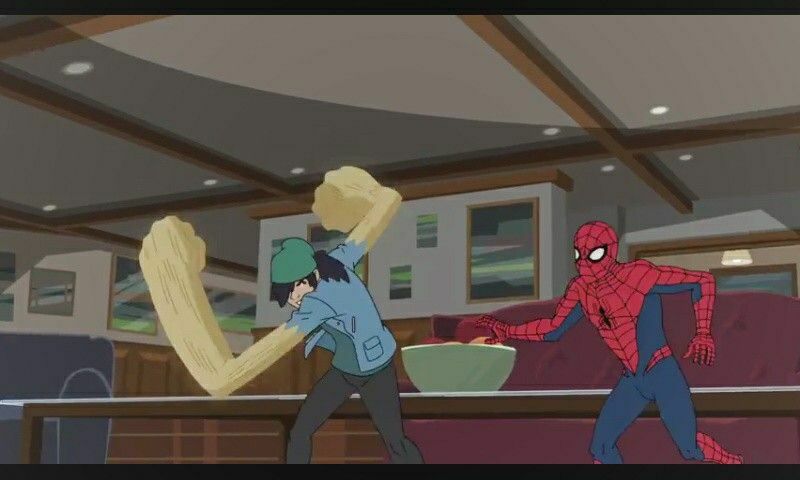 Not long after it came out, a friend of mine began watching the new Marvel’s Spider-Man television series. 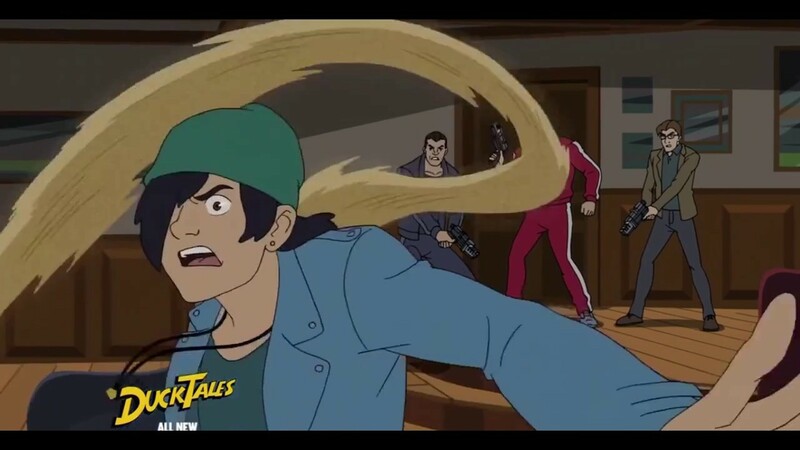 I have only watched it under duress, since I find the animation poor and am unhappy with some of the changes to Spider-Man lore within the series. Not to mention the fact that I am a little tired of Marvel beating dead horses to pieces and splattering me with their blood, proclaiming all the while that I should be happy to receive this disgusting shower. Thank you very much, Marvel, but even vampires do not go this far (from what I know of them, anyway). But my friend insists on cornering me and making me watch it, making me less than eager to discuss the series with said compadre after an episode has aired. “It’s a little like Han Solo and Kylo Ren in The Force Awakens,” my friend said. “Flint won the argument, just like Han did, and their children are worse off than they were before.” Then, in typical fashion for my friend, it was suggested that I write a post about how Flint is/was a better father than Norman Osborn. When it comes to this friend of mine, I have a hard time saying “no” to any request made of me. I promised to think about the episode, though I added the caveat that my brain had zero suggestions for how to bring up the topic here on Thoughts on the Edge of Forever any time soon. But then something somehow removed this block from my mind and the ideas came rushing in. The episode of Marvel’s Spider-Man in question is titled “Sandman.” In this episode, Spidey is relaxing with his fellow science whizz friends at Coney Island. At least, he is relaxing; the rest are still working on their school project (hint, it makes a nifty, living black suit). While they are out a sudden sandstorm erupts and the Arabian Desert, complete with a seeming genie, blasts through the park. This is Spidey’s first run-in with the Sandman, a.k.a. 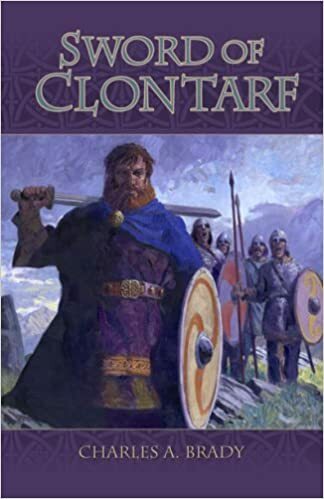 Flint Marko, in the series. Here, Flint is a lackey for the mobster villain known as Hammerhead. He began working for him in order to provide a better future for his daughter, Keemia. But Flint made too many mistakes on the job, so Hammerhead tried to make an example of him by burying him under several tons of sand mixed with toxic chemicals. Of course, this did not kill Flint. It turned him into a living being made of sand. He intends to go after Hammerhead to rescue his daughter, whom the thug has somehow taken into his home. Spidey, touched by Sandman’s devotion to protecting his little girl, joins Flint in storming the castle to rescue the fair damsel. But Keemia does not want to be rescued. Like any normal girl, she followed Flint into the warehouse when being left in the car creeped her out. So when Hammerhead tried to kill him, she was exposed to the same toxic sand that her father swallowed. Unlike normal girls, she detests and blames her father for her own natural instinct to avoid being alone. She goes on to repeatedly state that she hated the work he did for Hammerhead and planned to better her own future by studying science. 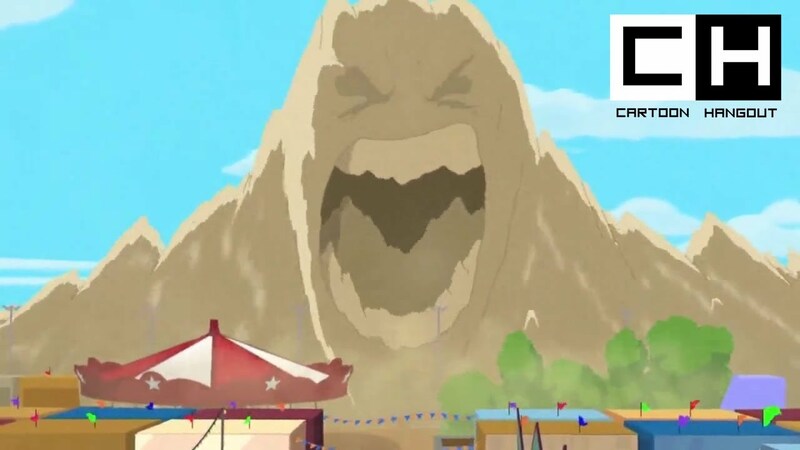 Now that she is made of sand, which has replaced her right eye, she accuses Flint of being the source of her misfortune and lashes out at him. Not once during the battle which follows does Flint respond to Keemia’s attacks. He tries several times to hurt Hammerhead, but Keemia protects the mobster as she continues to assail the man who really wants to keep her safe. Like Han in The Force Awakens, Flint allows Keemia to (apparently) kill him, offering her no resistance whatsoever. Spidey, naturally, is very upset by this, though I do not think anyone is going to take the time to explain why. I hope to do so myself, but I have a few other things I want to expound upon here as well, and that may get lost in the shuffle. The first thing to address here is that this is quite clearly another case of political correctness run amok in Marvel. Sandman was always a sympathetic villain; Spidey and other Marvel heroes tried several times to bring him to the light. He was even an Avenger there for a little while. Marko never was a very strong personality, which is what made us fans feel some measure of compassion for him. As with Kylo Ren, there is nothing to make us feel kindly disposed toward Keemia Marko. Blinded by the modern Sturm und Drang, she lays all her troubles on her father. In doing so she does not see Hammerhead manipulating her to hurt Flint, but seals her fate as the mobster’s secret weapon by killing her dad. How, you ask, does this make Flint a better father in this scene than Norman Osborn has ever been, period? In this series Norman is focused on being top dog in the scientific Tech Pack on Earth. Norman treats Harry more like a tool here than a son. Marvel’s Spider-Man portrays him as a greedy, grasping rich man who sees his boy as a means to an end – nothing more, nothing less. Marko never used his daughter to make life easier for himself, and he probably could have. While I do not like her and consider her a nuisance best dumped at the earliest opportunity, the fact is that Marvel has illustrated a truth in Sandman’s first and final episode here which must be addressed. The entire reason Flint went to work for Hammerhead was to provide for Keemia. He did not like working for a mobster any better than she did, but because he was a single father trying to make ends meet, he did the best he could with what he could get. It was not what he wanted for either of them, but he did not have the capacity to search for a job that would give them more satisfaction. Keemia, a product of the modern school system and the popular mindset, did not see what a sacrifice her father was making for her. He compromised his sacred honor and his own hope to be a good man in order to protect, feed, and clothe her. If he could have found another way to support them, he would have. A stronger man might have managed that, or at least managed to convey his distaste for his illegal work to Keemia. Flint could do neither of these things and that is, perhaps, one of the reasons why his daughter blamed him for her condition. Now Sandman’s lack of presence in his daughter’s life is not his fault – not in this TV series, anyway. The case in the show is blatantly transparent: Flint could not support the two of them and be with his daughter a hundred percent of the time. This is all too true of many families where only the father or mother is alive or caring for the children. These single fathers and mothers cannot feed, clothe, and shelter their children and still have enough time leftover to play, help with homework, or discuss problems in most cases. This is why Flint did not see the extent to which Keemia was taught to despise him. She was taught this by our modern society, which either treats fatherhood like a joke or holds it in reproach (more on that below). Her disgust with Flint’s line of work is quite understandable, but it was used and manipulated, first by society and then by Hammerhead. Neither society nor Hammerhead explained that Flint was sacrificing a lot to take care of her by doing the only work he could find, and this left Keemia open to the Dark Side. Norman, as we have seen, does not care to this degree about Harry. He has Harry make all sorts of sacrifices to please him. As yet we have not seen the future Green Goblin going out of his way to do something nice for his son. Even his founding of Osborn Academy is questionable: is it truly for Harry’s good, or is it so Norman has access to some of the brightest intellects in New York City – legal and illegal? Thinking about this subject, I was put in mind of other Marvel characters who have less-than-stellar fathers. One of the reasons society these days makes a mockery of or abuses fatherhood is the mistaken opinion of many that bad fathers make bad people. This is a fallacy, insofar as it is portrayed as a widespread occurrence; it can certainly happen, but I very much doubt it transpires with the frequency portrayed in film, television, and books. Not all bad people become bad because of evil fathers – or evil mothers. All who become evil choose to be evil. One can easily prove this by comparing Keemia Marko’s story to the history of the Avenger Hawkeye/Clint Barton. Hawkeye had a physically abusive father; Mr. Barton Senior liked his liquor, not to mention beating both his sons and his wife. When his sons were still young he died a drunkard’s death after he crashed his car. In the process he killed his wife and left the boys orphans. Yet, if you look at Hawkeye now, you would have to be told all this about his past to know that it had happened – especially in the films. He was scarred by the experiences of his childhood, to be sure; Clint has never been able to fully trust those in influential or command positions. This is because the man who should have taught him to respect authority instead gave him every reason to distrust it. However, Clint did not follow the Dark Path to the point that it could dominate his destiny. Yes, in the original comics, he worked with the Black Widow when she was a pawn of the Soviets. But he did not do this because he agreed with the Communists or because he liked being a bad guy. He did it out of misguided sentiment and love for Natasha Romanoff. This eventually redeemed the two of them and led to their joining the Avengers, “Earth’s Mightiest Heroes,” and we fans/readers/viewers are the better for this. Unlike modern writers, Stan Lee and Don Heck knew that it is possible to choose a better path than the one your parents did. So they showed Clint Barton choosing to turn away from the darkness and toward the light. Time and again, until the most recent comics, Clint did his best to avoid following in the footsteps of the men who raised him. He chose to be a better man than his father. He also chose to be a better man than his mentors, the Swordsman and the original Trick Shot. He chose to be a hero rather than a villain. If you dig a little into the histories of many Marvel heroes and heroines, you will find several others with similar pasts. Both Rogue and Nightcrawler were rejected by their fathers and continue to be abused by their mother. The Maximoff twins are still dealing with the aftermath of having Magneto as a dad. Peter Quill had a lackluster father, as did Gamora. Yet they and other Marvel characters with similar backgrounds still became heroes and heroines rather than villains. This is something modern pop psychology says is a denial of the inner self; a rejection of the monster inside, to borrow from Mr. Whedon. Yet Mr. Lee and Mr. Heck made this choice for Hawkeye and the other heroes I listed above. And you know something? It worked. Unlike these heroes, Keemia has chosen the Dark Side. And she has done so without using the “father abused me and that’s why I am what I am” excuse. In some cases, real and fictional, I do not doubt that ill-treatment can convince a child to turn into a monster of the same type as the one heaping pain on him/her. But that, as I just said, is an excuse. Being evil or being good is a choice. One choice takes a lot more work than the other, and believe me, it is not evil. Keemia has no excuse for her choice to become evil. She has no excuse for killing her own father. She cannot hide behind the pop psychology argument that her father was terrible and so she is terrible, which is what I think the writers were trying to have her say. I think they wanted us to sympathize with her, suggesting that she turned into the monster “Sand-Girl” because of her father through her long, moronic speeches charging him with high crimes and misdemeanors against her. That claim does not float. There are many Marvel heroes and heroines who endured far worse from their fathers and mothers than Keemia ever did at the hands of Sandman. They are not evil. She is. And it is because of the choices she made, NOT because of her father’s (or mother’s) choices. This is the reason why I did not like the writers’ attempt to pin Helmut Zemo’s decision to be evil on his father in the Avengers Assemble episode “House of Zemo.” This is why I do not like what the company’s writers have done to Tony Stark’s father. And this is why I blew up when I learned what Marvel did in its Secret Empire comics to Cap’s father in order to make him a Nazi. These changes are the signature attacks of people who despise fatherhood and want to destroy it; either the authors or their bosses want to continue this harmful stereotype in order to continue to excuse “the evil that men do.” They are trying to convince fathers to rescind their proper place as role models in society, role models who will teach and love their children like no one else in the world can or should, which means the children born to these fathers will be left without one of their best defenses against the darkness in this world. This modern fictional trope hurts real people, readers. It hurts those who do – or did – have lousy fathers and who want a better life. If they are continually told that they have no chance whatsoever to be a better man/woman than their fathers or mothers, they will destroy themselves. I do not mean they will kill themselves, although that is a distinct possibilty. I mean they will make wrong choices using the excuse, “My daddy/mommy did this to me, and so psychologically I have no choice but to carry on this abuse.” Ask Dean Koontz about it. He had an abusive father himself. Evil is a choice, readers. It is a real, palpable choice with genuine, hard, ugly results, for us and those around us. We are all confronted with it, every day, in small or great ways. And because we are weak humans we can excuse or rationalize away the evil that we do because it will make us feel better about “getting what we want” out of life, family, etc. Bad or evil fathers do not make bad men and women. Men and women make choices to be bad or to be good. If they choose evil, then they choose it of their own free will. They will make excuses to allow them to continue doing their evil deeds with untroubled consciences, but the fact is that they have chosen the Dark Path freely. Pop psychology does not recognize those heroes who had bad parents and yet have gone on to become good men and women. It does not recognize them because they do not fit the pattern which produces the desired result. There are many good men and women who had or have bad fathers/mothers, but who have gone on to become great fathers/mothers themselves because they chose to be better than those who raised them. This is the real difference between heroes and villains, readers. Heroes choose the Light, while villains choose the Dark. Modern society wants you to be confused about this distinction, but the fact is that there is an objective good, and an objective evil. You just have to keep your eyes open to see it. This entry was posted in Marvel Comics' Characters and Stories, TV Shows and tagged All-New All-Different Marvel Comics, Ashley Bell, choice, Dean Koontz, Don Heck, Evil, fathers, fathers and daughters, fathers and sons, Gamora, good, Hammerhead, Han Solo, Harry Osborn, Hawkeye/Clint Barton, Heroes, Keemia Marko, Kylo Ren/Ben Solo, Marvel, Marvel Comics, Marvel Comics' Characters and Stories, Marvel fans, Marvel’s Spider-Man, mobsters, Nightcrawler/Kurt Wagner, Norman Osborn/Green Goblin, Quicksilver/Pietro Maximoff, Rogue/Anna Marie, Sandman/Flint Marko, Scarlet Witch/Wanda Maximoff, Spider-Man/Peter Parker, Stan Lee, Star-Lord/Peter Quill, The Force Awakens, Villains on January 19, 2018 by The Mithril Guardian.